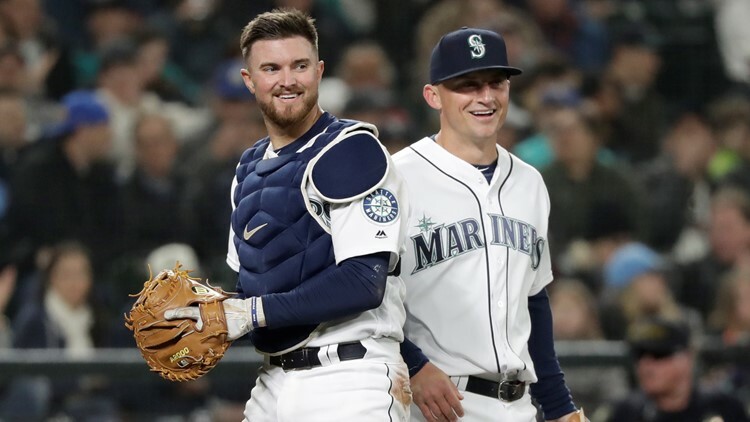 Tom Murphy managed to extend the Mariners' major league record home run streak. 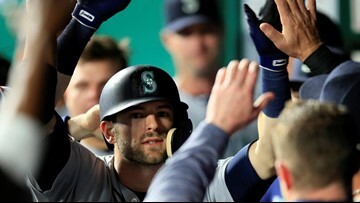 Seattle has homered in each of its first 16 games. 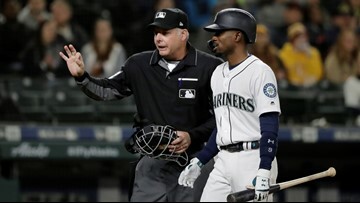 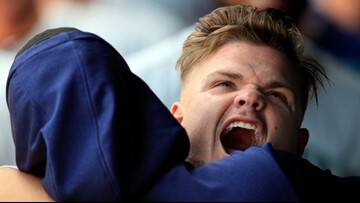 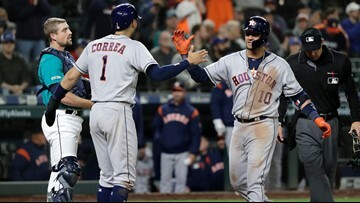 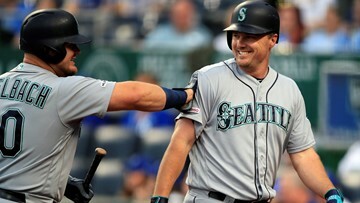 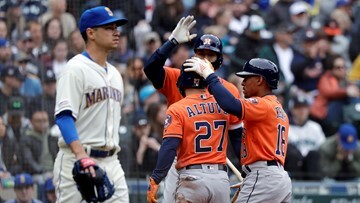 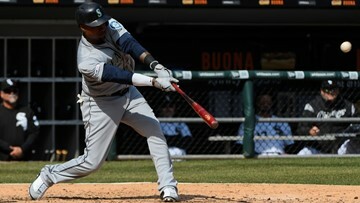 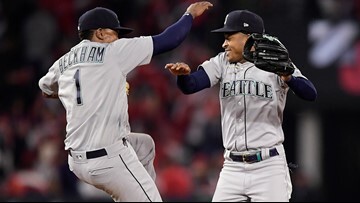 The Seattle Mariners started the 2019 season 13-2 and became the first team in MLB history to homer in each of their first 15 games. 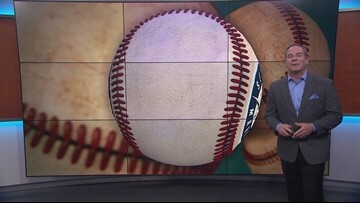 KING 5 Sports Director Paul Silvi shares his take on the M's hot start. 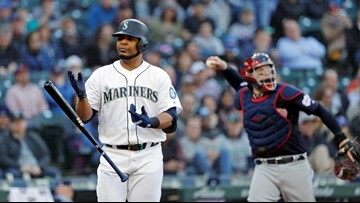 Seattle's 36 home runs are tied with the 2000 St. Louis Cardinals for the most in a club's first 15 games. 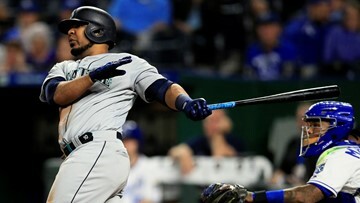 Seattle Mariners slugger Edwin Encarnacion homered twice in the sixth inning against the Kansas City Royals on Monday night, becoming the fifth player to do it twice in a career. 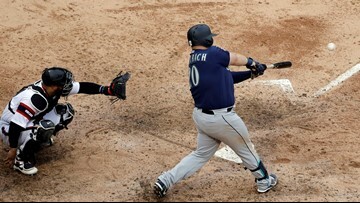 Daniel Vogelbach homered twice, hit a bases-clearing double and set a career high with six RBIs, helping the Seattle Mariners beat the Chicago White Sox 12-5 Sunday to extend the best start in club history at 9-2. 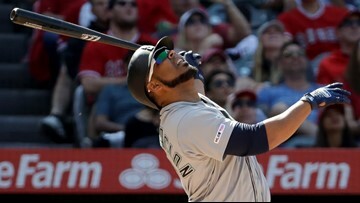 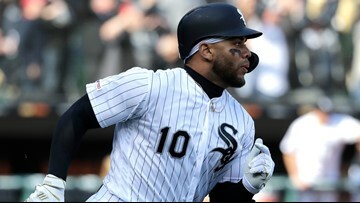 Jay Bruce hit two solo home runs, Tim Beckham had a three-run shot among his four hits and the Seattle Mariners powered their way past the Chicago White Sox 9-2 Saturday. 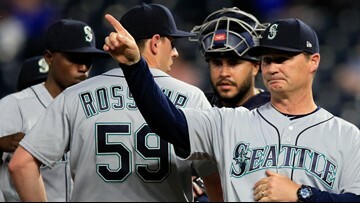 The Mariners have started the season on a hot streak. 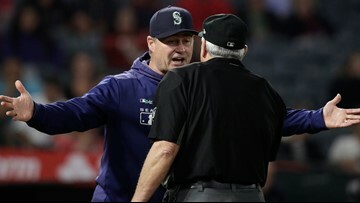 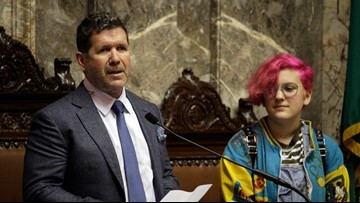 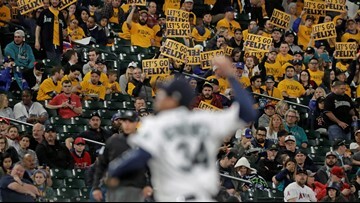 Felix Hernandez allowed one earned run and pitched into the sixth inning for his first victory since last June, and the Seattle Mariners beat the Los Angeles Angels 6-3 on Monday night. 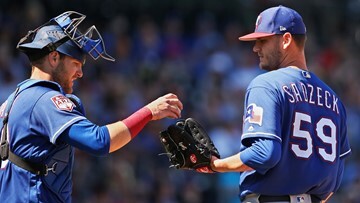 The Seattle Mariners have acquired hard-throwing right-hander Connor Sadzeck from the Texas Rangers for minor league pitcher Grant Anderson. 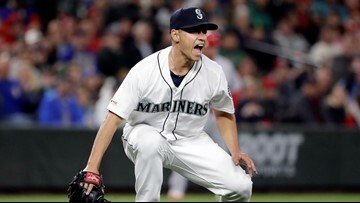 In his tenth and final year on the ballot, Martinez was elected in January with 85.4 percent of the vote from the Baseball Writers' Association of America. 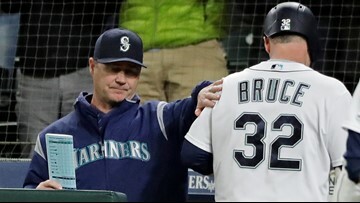 Seattle Mariners pitcher Yusei Kikuchi says he will stay with the club following the death of his father, Yuji Kikuchi.